Our boating made-to-order fitted sheets are made from a template that you make tracing an outline of the top of your mattress. 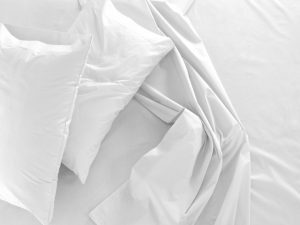 Each sheet is made to accommodate the thickness of your mattress with or without a mattress topper. Fitted bottom sheets have elastic completely around the bottom to assure that the sheets are held in place (the exception on the bottom sheet elastic is that when there is a reverse corner, we do not put elastic across the corner, but place a gussett to permit tucking under the mattress). 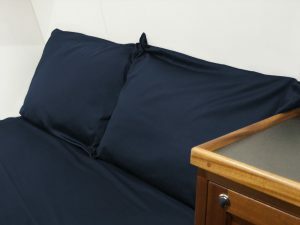 Top sheets are cut to the shape of your boat’s bed, plus an additional amount equal to the thickness of the mattress and an additional 6 to 8 inches for tucking.